Leather jacket replica from Fight Club movie. 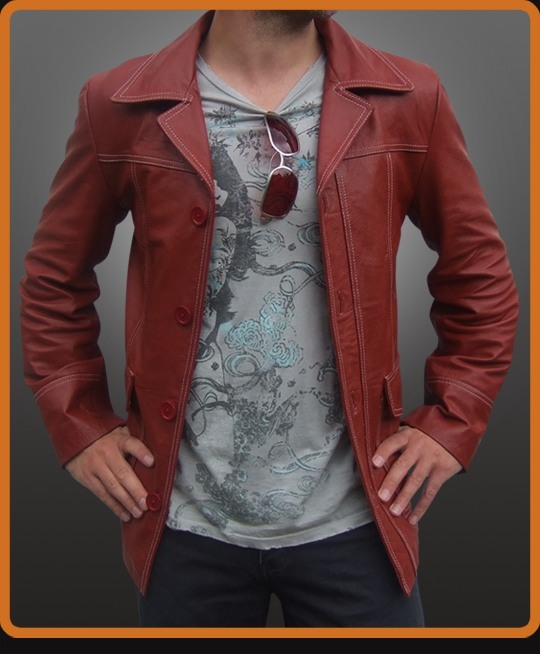 Inspired by the popular rust red leather jacket worn by Brad Pitt as Tyler Durden. We have paid great attention to match the original -- from the unique color to the contrast double stitching and deep red jacket lining. Notched lapels, four button front closure, flat patch pockets with flap closure and shaped back yoke. This sharp statement jacket projects style and attitude.